A spokesperson for the Medical Council told the Medical Independent (MI) that revised wording will be “brought to the Council for approval followed by publication in April”. Conscientious objection and the definition of referral are matters of huge contention to pro-choice and pro-life doctors, contributing to what some describe as a fracturing of general practice, where most terminations are taking place (see panel on page 5). Only 10 of the 19 maternity units/hospitals are currently providing abortion care, according to the HSE, which says additional hospitals will be added as the service develops. A spokesperson for the Rotunda Hospital in Dublin said it initially “applied controls” around “catchment areas” and only accepted referrals to the 11-week mark. However, these conditions “have been removed”. According to the Coombe Women and Infants University Hospital in Dublin, abortion service referrals will be accepted from GPs or community-based services (Irish Family Planning Association and Well Woman Centres) if the woman lives within the catchment area of Kildare/West Wicklow, Dublin West, Dublin South City and Dublin South West. MI also contacted the National Maternity Hospital, Dublin but it had not responded by press time. The HSE and Department of Health did not release to MI the number of abortions notified to date. It is understood most would have occurred under the “early pregnancy” provision (where the pregnancy has not exceeded 12 weeks). The Health (Regulation of Termination of Pregnancy) Act 2018 also provides for abortion where there is a risk to the life or health of the woman; risk to the life or health of the woman in an emergency; and where a condition affecting the foetus is likely to lead to the death of the foetus either before or within 28 days of birth. Doctors who are delivering the service say it is safe and many of the initial difficulties have been overcome. However, issues are emerging that are causing concern to clinicians and patients. The Irish Family Planning Association (IFPA), which advocated for “full reproductive healthcare” in Ireland for many years, is providing medical abortion on a daily basis at its two Dublin clinics. Speaking to MI, IFPA Medical Director Dr Caitriona Henchion highlighted a number of concerns associated with the practical implementation of the law to date. Crucially, “a lot of people” do not know the detail of the legislation, including the mandatory waiting period of at least three days between certification and accessing the termination (under the “early pregnancy” provision). There is also a lack of awareness about the manner in which the law dates pregnancy (ie, the first day of the last menstrual period). 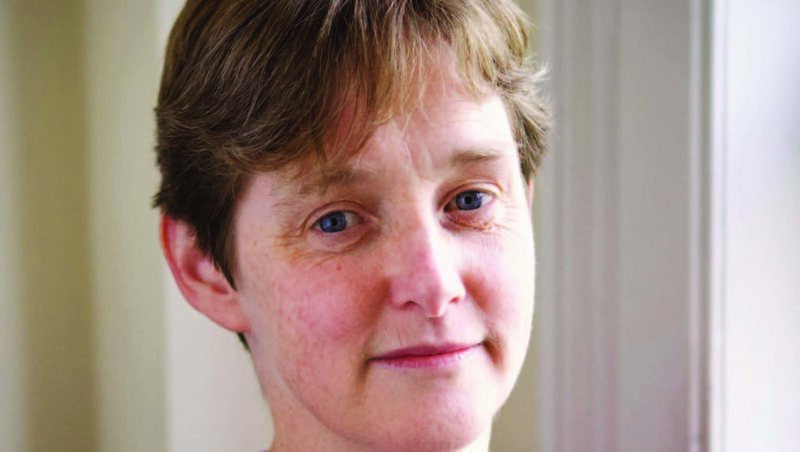 Dr Henchion said: “There has been a huge amount of confusion regarding what 12 weeks means, particularly because, for example, the pregnancy tests that a lot of women get in the pharmacy actually give them an estimate of date but they are counting from conception… the legislation is based on counting from last period, which means you immediately have to add two weeks onto what you thought. Some women are upset to discover there is a mandatory waiting period, while others “are fully aware of that”. It is national policy that abortions over nine weeks are carried out in hospitals. This is another issue on which greater awareness is needed, according to Dr Henchion. It can be distressing for women who feel they do not want to attend a hospital. For a variety of reasons, the 12-week limit has proven extremely tight in certain circumstances. “From our point of view, when we get someone who thought they were eight, nine weeks, and turns out to be 11-plus, it becomes a panic to try and get them an appointment on time. It really does; there is no other way I can describe that,” commented Dr Henchion. In Dr Henchion’s experience, has anyone gone over the time limit in these circumstances? It has also occurred that “it has been extremely difficult to get somebody seen on time, where it has taken a huge amount of phoning around, basically beseeching somebody to give somebody an appointment”. In the first month, some of the contributory factors were that women were often presenting at a later gestation, in tandem with a sudden demand for services. Women who thought they were earlier in their pregnancy may not have been triaged to an urgent appointment. Dr Henchion hopes such scenarios will happen “less and less”. However, she envisaged there will always be cases where the three-day wait places people over the 12 weeks. An urgent access service in one of the maternity hospitals would be helpful, confirmed Dr Henchion. Another issue causing “a huge amount of anxiety” for doctors, as well as patients, relates to the potential for failed medical abortion where the woman is nearing the 12-week limit. A woman would be asked to check after two weeks to see if the procedure has terminated the pregnancy (which it would in most cases), although “a lot of tests are still going to be slightly positive” at that point. This is despite the fact a medical professional has provided the patient with medication that can cause foetal abnormalities. “That was one of the things that during the run-up to this was actually raised several times with the Department of Health and the Department was very clear that, no, 12 weeks is 12 weeks for everybody, it doesn’t matter what the circumstances are. Up to 12 weeks, the failure rate in medical terminations is between 1 and 2.5 per cent. Dr Henchion considered it likely there will be cases of ongoing pregnancy over 12 weeks following failed medical abortion. “So far, we certainly haven’t been in the situation that somebody discovered that there was an ongoing pregnancy over 12 weeks, but I do think that probably will ultimately happen. Statistically speaking it is probably likely. I know some of the hospitals are doing medical abortions and not surgical, so then the risk of that happening if they do medical [abortion] at a later stage is probably going to be a little bit higher. Dr Henchion said it is important that this matter is reviewed. “So at least to know if the procedure is started, within some sort of reasonable timeframe you do have the licence, as it were, to go ahead and complete that procedure – I think that would be reasonable to have in it. While training for GPs has been very good, according to Dr Henchion, “no amount of training deals with any possible situation that could happen, and everybody is at the same basic level in terms of experience. As of 12 March, some 300 GPs had signed the contract to provide the service “and each day more GPs are signing up, as the service evolves”, according to the HSE. Information, support and counselling are available from the HSE’s My Options service on 1800 828 010 or myoptions.ie. In the first two months of the operation of the website (21 December-21 February), it had 74,296 unique visitors; there were over 96,300 visits to the website and more than 346,600 page views. There has been “a steady number of calls” to the helpline each day. There were 500 calls in the first week, with the average now being 40-to-50 calls per day. NAGP President Dr Maitiú Ó Tuathail told MI many pro-choice GPs have not yet signed-up as general practice is “already overburdened”. He said the wait for appointments in some towns would make the service unworkable. Dr Ó Tuathail also drew attention to a recent media report indicating that significant numbers of Irish women were still travelling to the UK for abortions, which he felt was an indication that roll-out had not been optimum. He was also aware of some GPs who had expressed an interest in providing the service but did not sign-up, “and the My Options phoneline was referring patients to those GPs, which is causing huge difficulties for the patient and difficulty for the GP”. Access to secondary/tertiary care was “incredibly challenged for the first four-to-six weeks and the NAGP was getting a lot of calls from GPs about that”. He said this aspect is improving. The timeline relating to access under the “early pregnancy” provision can prove very tight, according to feedback, with several “hoops” to jump through before accessing a termination, he confirmed. Dr Mike Thompson of Southern Taskgroup on Abortion and Reproductive Topics (Start) believed the service was generally progressing “very well”. However, the Cork GP said around half of the 300 provider GPs were only providing services to their own patients. It is likely around 800-900 women will have accessed the service in the first three months of the year, according to Dr Thompson. “There is still a little bit of an issue in some hospitals at the 11-plus weeks; some are not keen on seeing these women because they feel that, if a medical fails, they will be up at the 12-week barrier, and won’t be able to offer them any more. “The ultrasound [access] is good. In Cork, Letterkenny and Dublin it is Affidea… but the vast majority of people are going to the local obstetrics unit, or gynae unit. The midwives are good, the referral pathways are good, the anti-D is good. It is getting there, it really is. “Compared to where we were a month ago, it really is up and running, considering we were all fretting that all of the services would be overwhelmed. Certainly, the hospitals have been dramatically underwhelmed by the numbers they are getting,” he said, noting that most cases are being managed in general practice. Women accessing the service can find the three-day wait problematic, stated Dr Thompson. Over 600 doctors have attended Start-provided training to mid-March. Dr Thompson said it has around 200 members and is funded through member contributions. While the HSE has not provided Start with funding, it assisted in other ways, acknowledged Dr Thompson. More than 200 GPs have attended ICGP training sessions. The College informed MI it had held four training workshops around the country for GPs interested in providing the service. Three more workshops are planned before mid-May. Start is undertaking audit of the service provided by members. So far it is “staggering” the number of women who are not on contraception. “I think as GPs maybe we think we are better than we are, and the barrier we keep hearing back from people is cost… LARCS [long-acting reversible contraceptives] are fantastic, they are excellent, they are most effective, but really they are a significant outlay. It is very cost-effective over the five years but if someone is looking at €400 up front, it is very difficult. Dr Henchion also emphasised the importance of free contraception and said it was vital that the LARCs were included. This is in light of proposals being drawn-up by the State in respect of the “nature and scope” of rolling out free contraception.